Trinity Stairs has designed some of the most unique and magnificent stairs in the world. 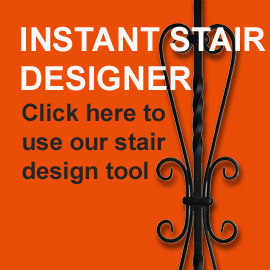 Did you know we can do a simple baluster change out in less than a day? We design and manufacture our custom iron work locally at our Texas facility. Trinity Stairs offers a wide variety of wine gates, balconies, custom stair panels, furniture, and other custom iron work. 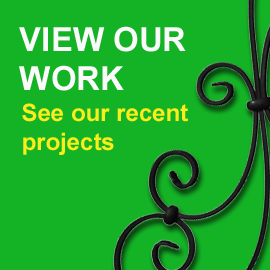 Or we can assist you in designing your own custom wrought iron project by utilizing innovative modeling software. A truly custom home deserves a custom stair, and Trinity Stairs can customize your stair beyond your wildest dreams. Trinity Stairs – Stair Services in Dallas, Austin, San Antonio, Fort Worth and surrounding areas. Trinity Stairs has been providing exceptional services to area builders for many years. We are known for reliability and professionalism. We invest heavily in our internal systems and employee training so builders never worry when Trinity Stairs is on the job. We provide stair services in Austin, Dallas, San Antonio, Frisco, McKinney, Allen, Fort Worth, Plano and surrounding areas.